India is leaping into the future. The new, digital Indian is progressive, boundary-pushing and wants to be unbound from anything that slows them down. The youth do not recognize barriers and want to use technology to lead a frictionless life. Watch the VISA #ReimagineIndia video series (link below) showcasing the new and progressive outlook of the Indian youth. To power this revolution, Visa is making lives simpler by transforming the way India pays. Share how you ‘#ReimagineIndia’ in your own unique ways; how you redefine your living space – your way of thinking, living, traveling, working, doing household chores, shopping, helping the society, pursuing a hobby or simply having fun! You can share your own inspiring ideas or stories, or of the wonderful people around you in the text, photos, videos or memes on your social media channels. 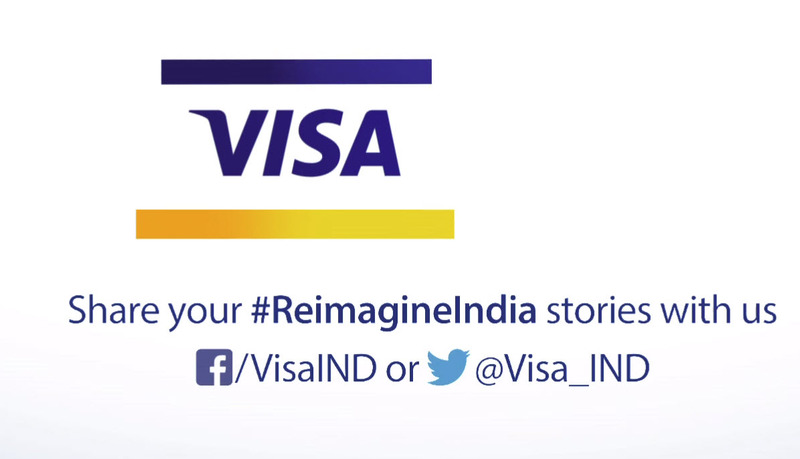 Don’t forget to add #ReimagineIndia and tag Visa India to your post on Twitter, Instagram or Facebook!